A report of companies can be created and filtered by a single letter of the alphabet (such as B) or by Search. 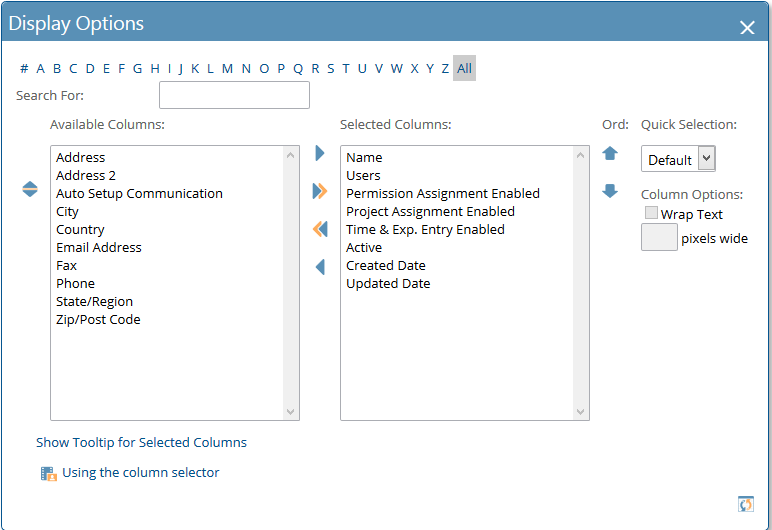 Column Selection Filtering Options will control the data fields displayed as columns for the report. Detailed information for setting preferences in the data field column displays is contained in the Page Display Options topic. Can I create links from a Portfolio Report to another Report?